ELECTION HOPEFUL: Max Bruins will contest one of eight elected member positions on Mount Gambier City Council during local government elections in November. BORN and bred Mount Gambier resident Max Bruins will throw his hat in the ring to contest one of eight elected member positions on Mount Gambier City Council in November. 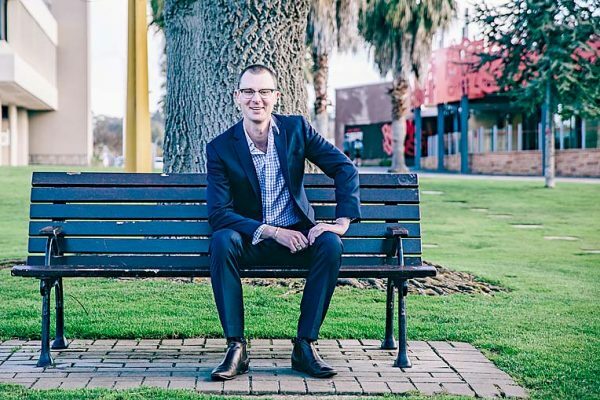 A financial planner who works across the South East, Mr Bruins is actively involved in the community as secretary of the Port MacDonnell Bayside Festival Committee, a member of the Mount Gambier Chamber of Commerce and Tourism Mount Gambier.